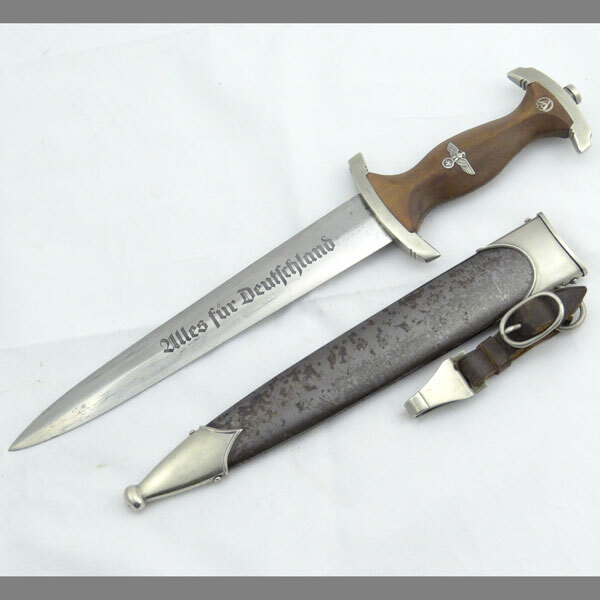 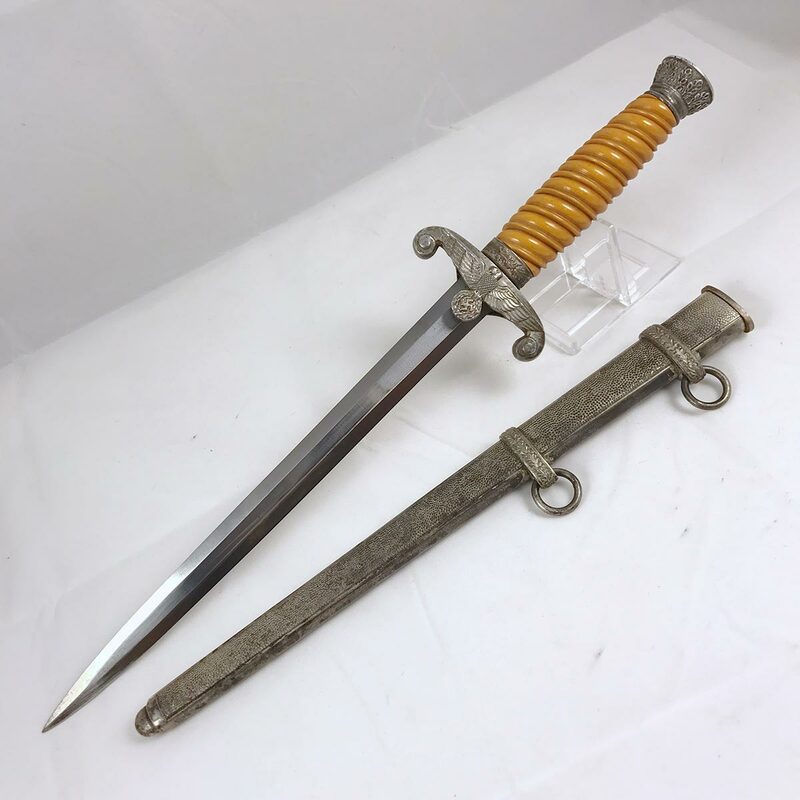 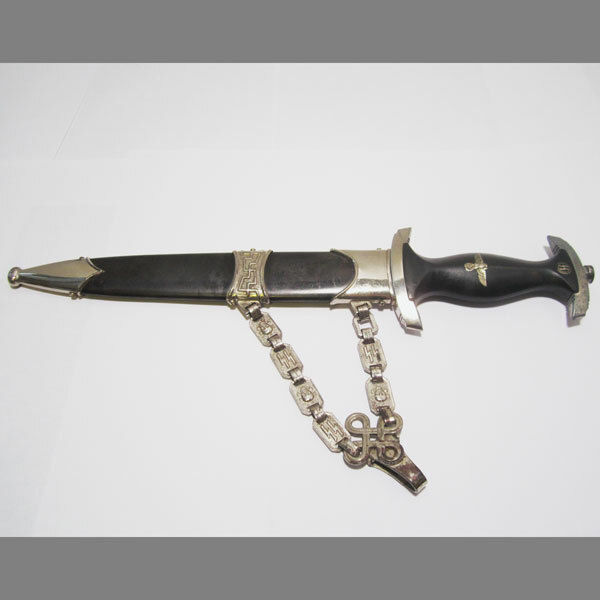 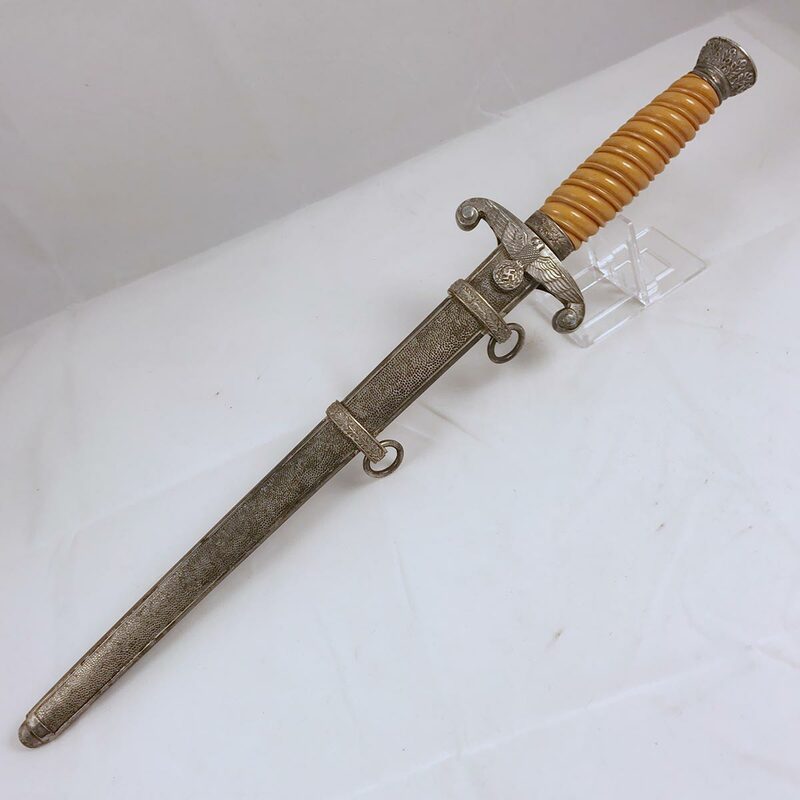 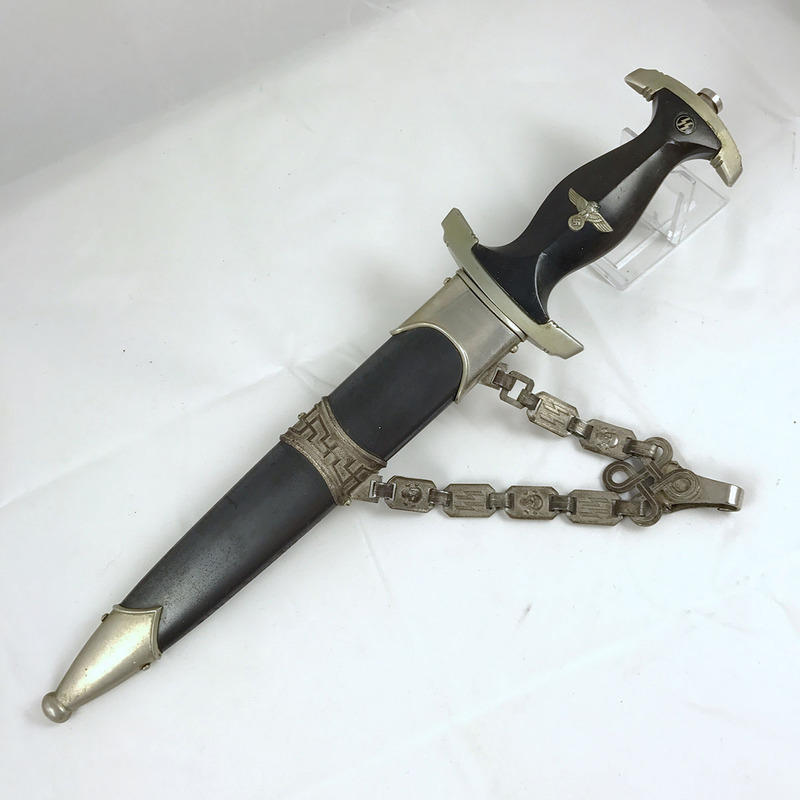 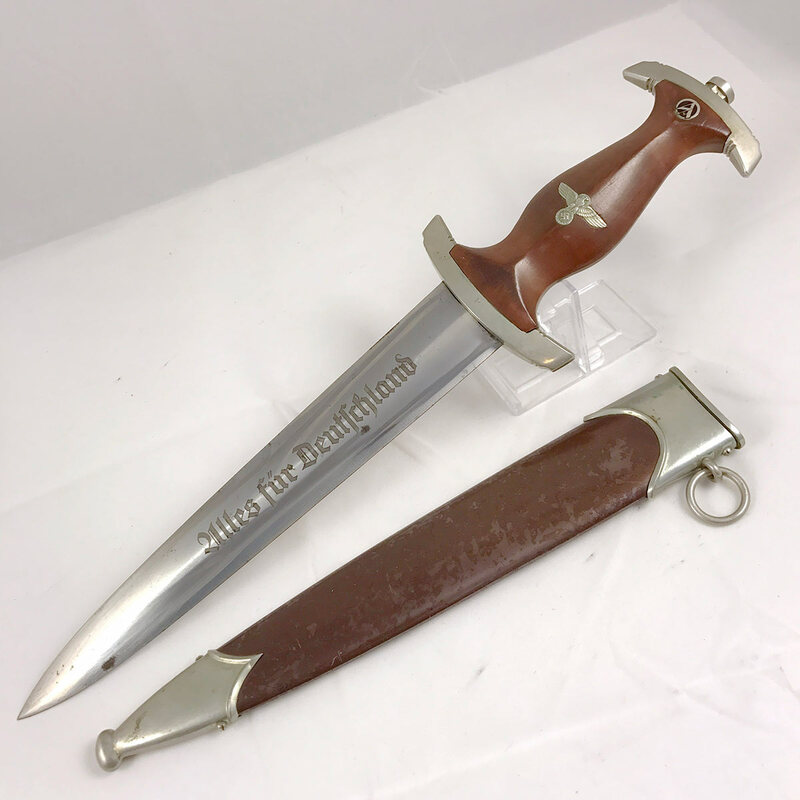 A nice type 1 Chained SS Dagger with a great deal of appeal! 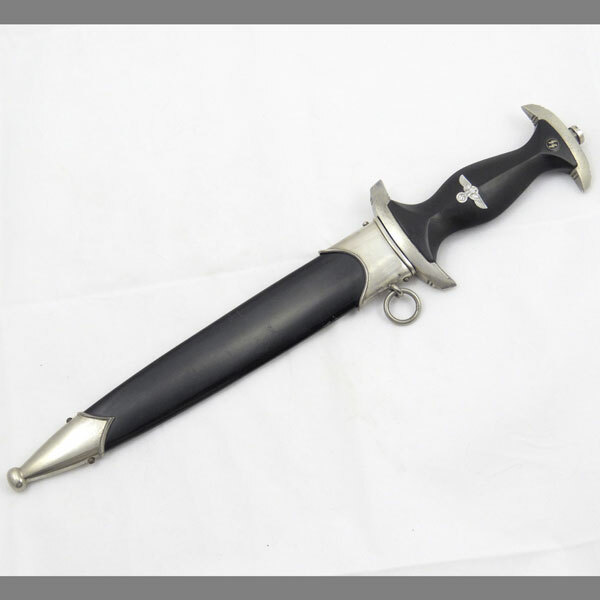 The grip is solid, without cracks and only a few minor scratches and dings expected of period SS daggers. 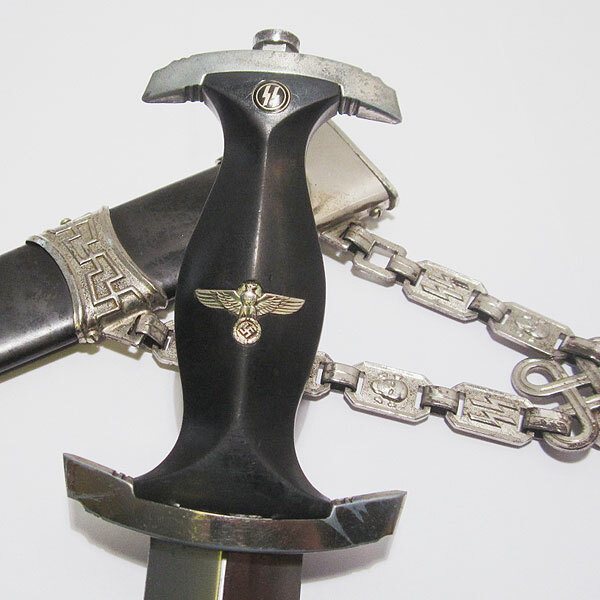 The eagle is beautiful, retaining 95% of it’s original detail and has a perfect patina. 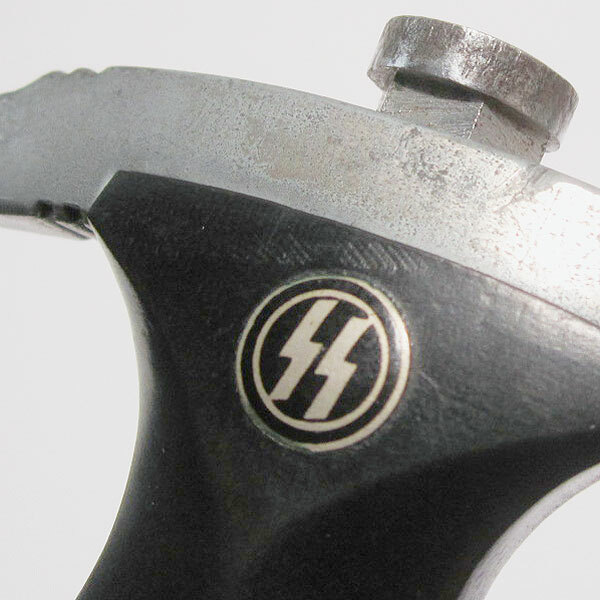 SS roundel is almost perfect, with one a sliver of darkening from age along the lower quarter edge. 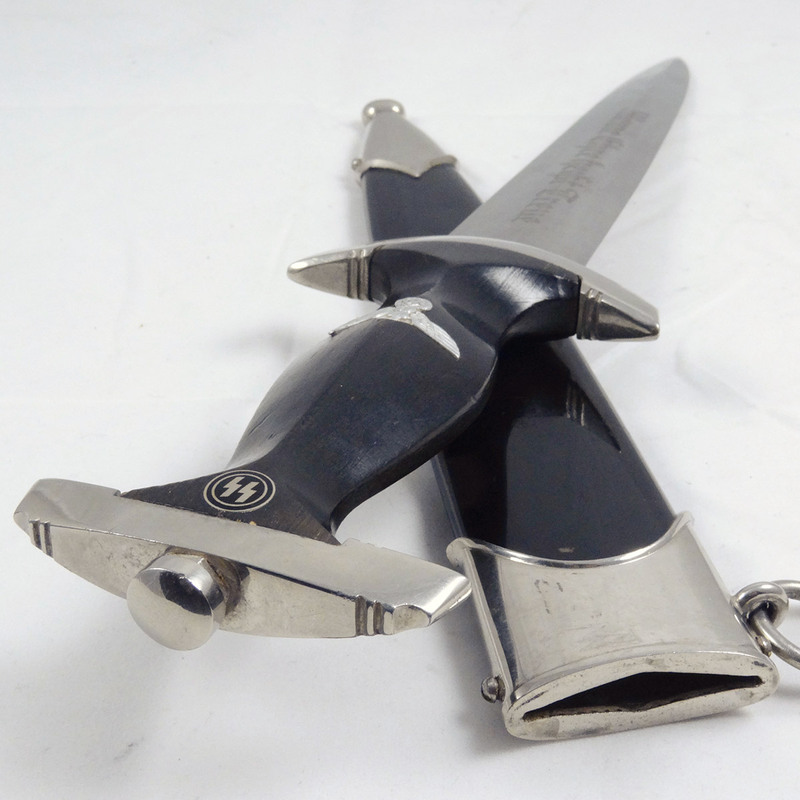 The nickel plated guards show the typical plating loss and wear, but nothing too distracting (more on the upper guard than the lower). 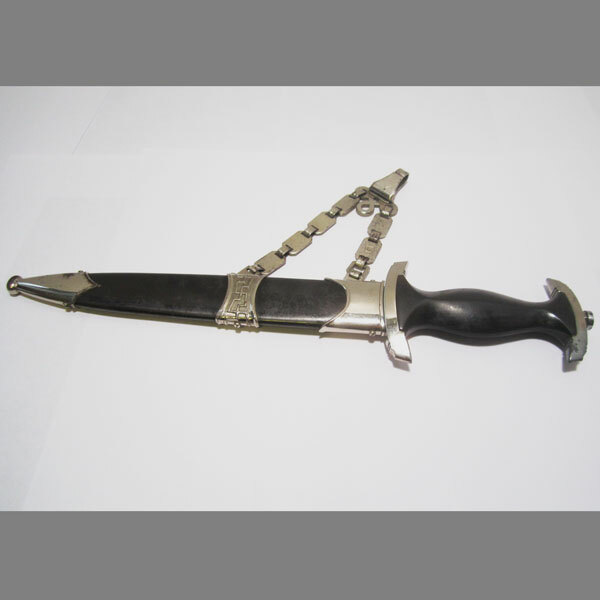 The scabbard is a real beauty! 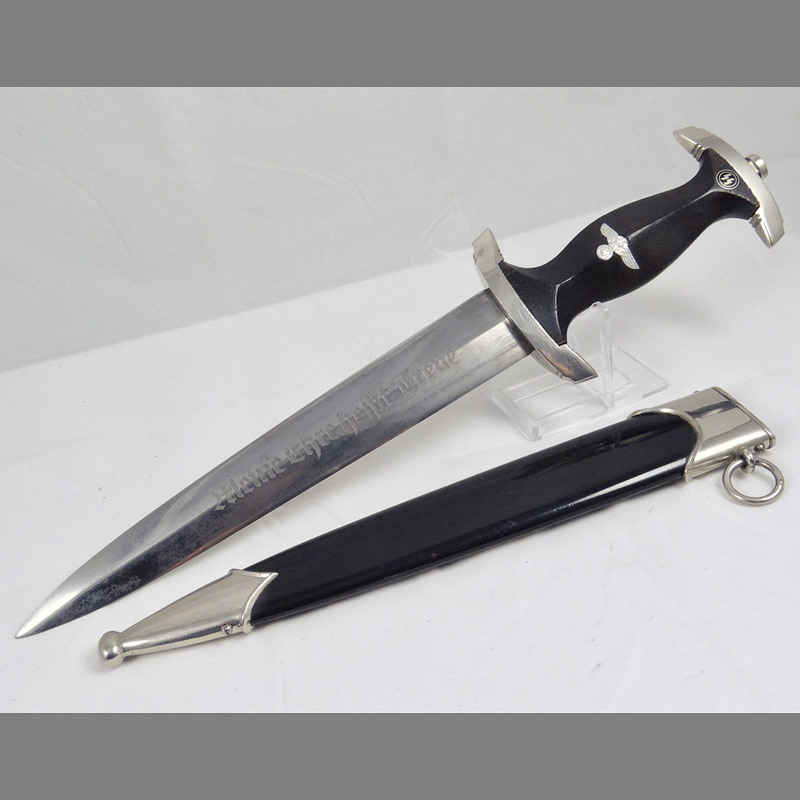 The anodized finish is 100% with only modest hairline scratches and no chips. 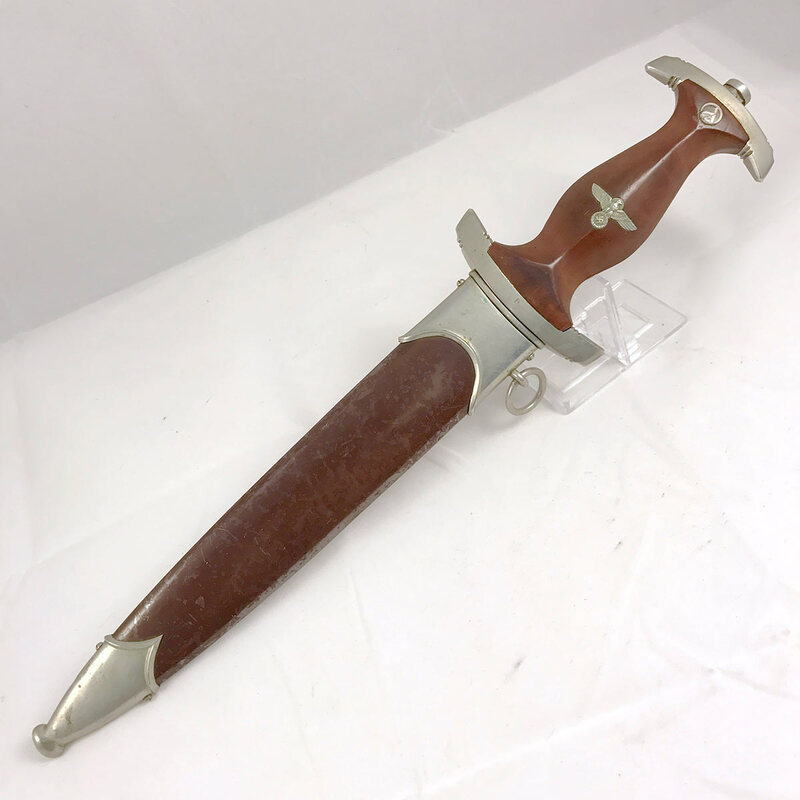 The plated fittings have aged nicely, with some modest wear, but no dents to note — not even to the tip ball. 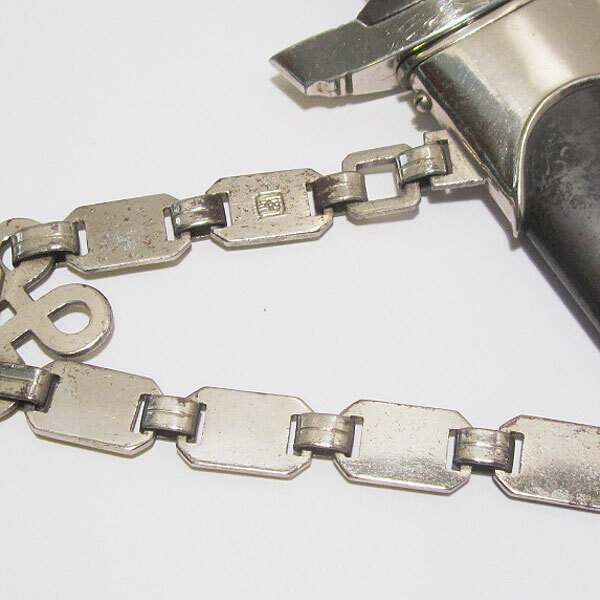 The center band shows the standard pebbled pattern, as do the chain links. 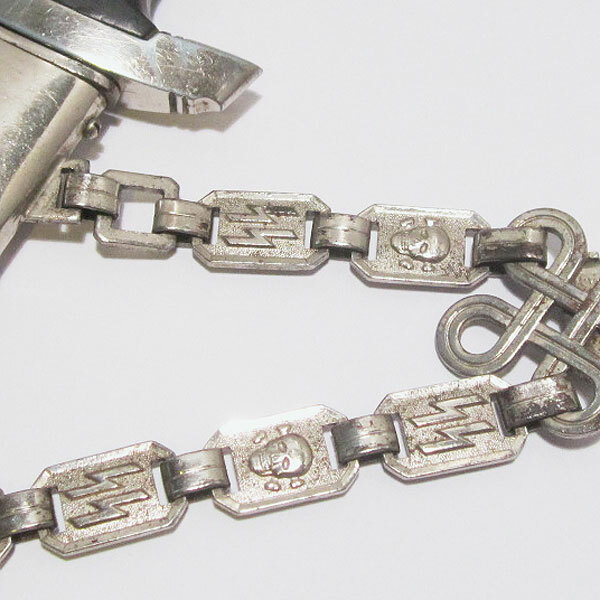 There are six links in all; three with the SS deaths head, and three with SS runes. 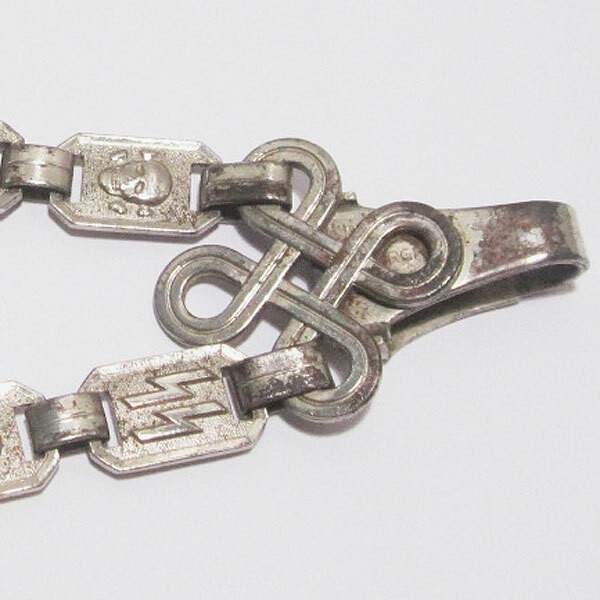 On the reverse of one link is the SS proof stamp (two intertwined sig runes). 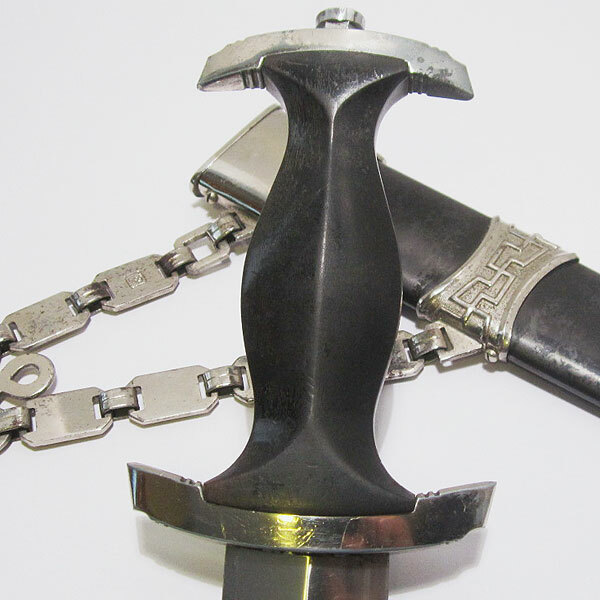 The Woton knot shows the DRGM mark visible through the knot loop closest to the hook clasp, and the two knot connector rings are the squared type as expected with the type 1 SS dagger. 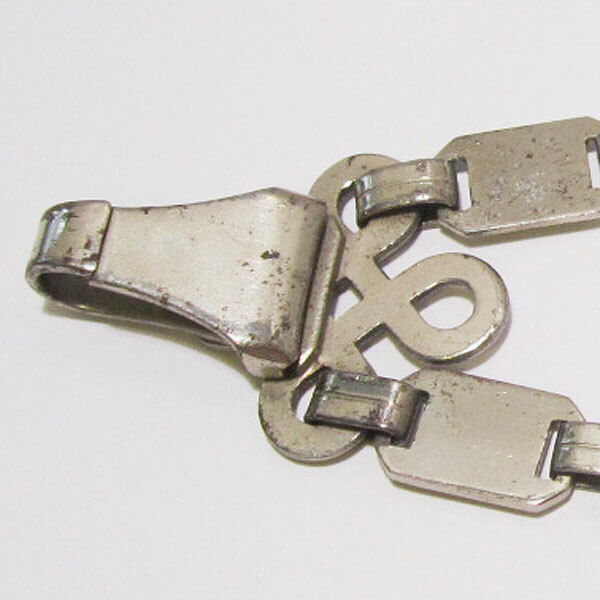 The knot shows heavy use wear and plating loss to the metal around the top of the hook where much of the use wear occurred. 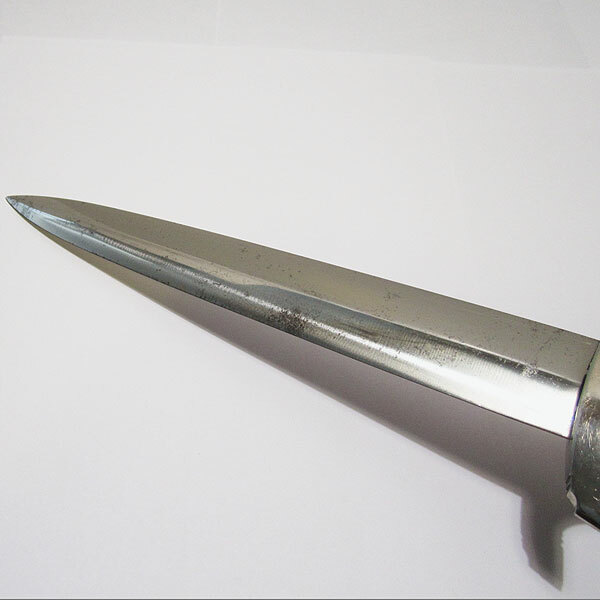 All scabbard screws are secure and show no evidence of removal. 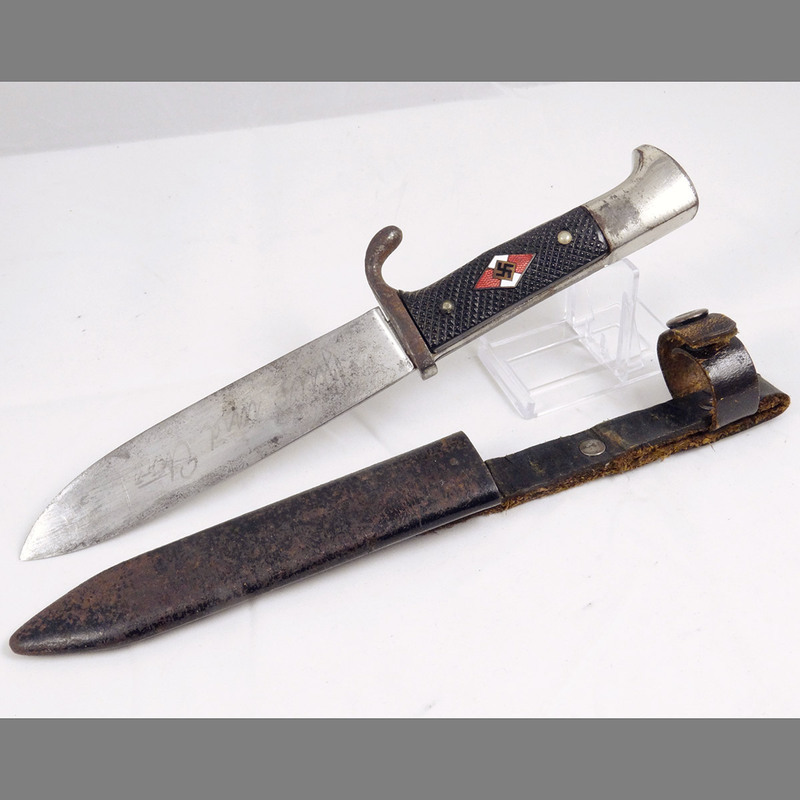 The unmarked blade is in exceptional condition when compared with other examples I’ve seen. 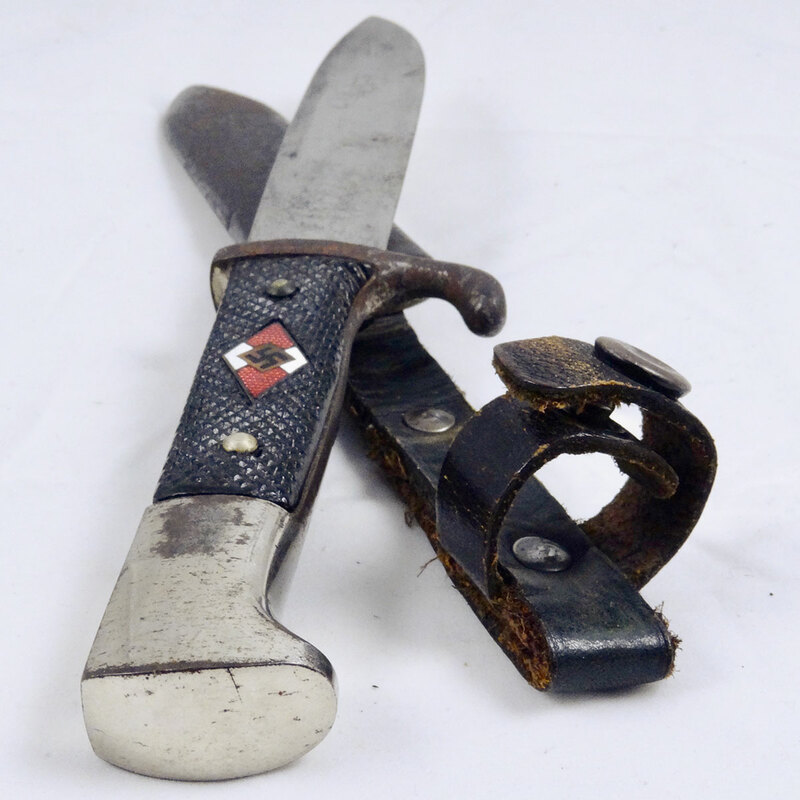 Only very minimal oxidation spotting can be found, which are all but lost in the beautiful and prominent cross grain on both sides. 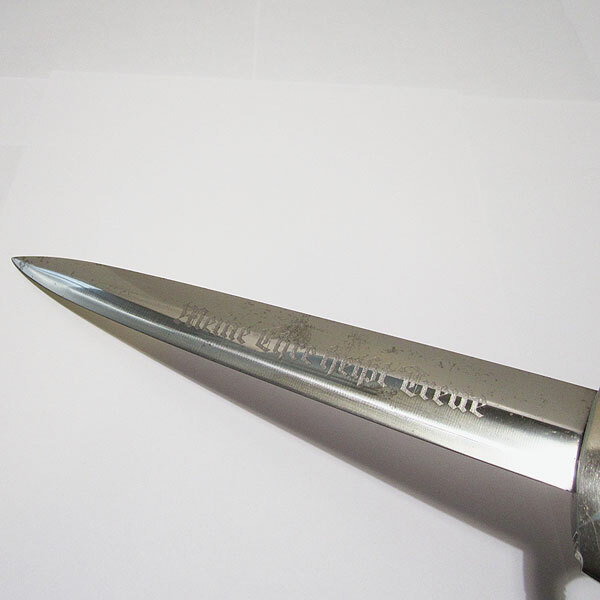 The motto has a crisp cut, with a light gray tone. 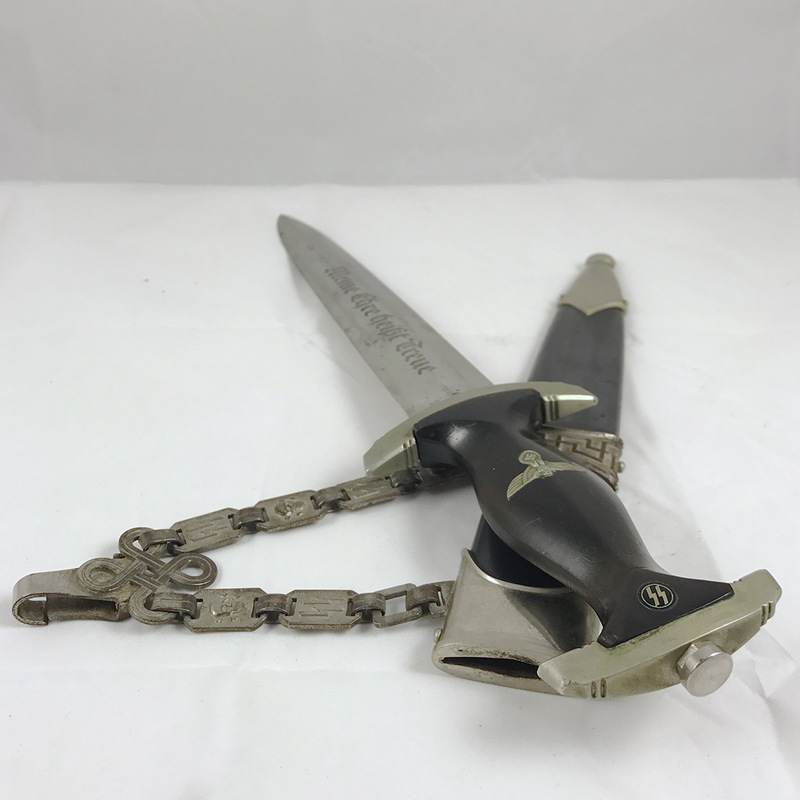 If you’re looking for an honest, untouched Chained SS Dagger, you don’t want to pass this up!